Pros: Honoring a wealth of knowledge i have attained from my vastly researched and accredited teacher and mentor Thomas Parsons of Nashville, Tennessee.  To bring others awareness of this language and the ethics of the planets and stars in this solar system that have been long studied and applied throughout the centuries. The more i know, the more I want to know and be affiliated with others that hold the highest values for all concerned and seeking guidance. Other Comments: I agree to abide by AFA's Code of Ethics. Pros: Excellent organization bringing professional acknowledgement to our field of science.